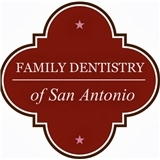 Family Dentistry of San Antonio (San Antonio) - Book Appointment Online! Please Note: We have a $50 cancellation fee that we charge for any appointments that are cancelled or rescheduled within 24 hours of the appointment. We are a dental practice devoted to restoring and enhancing the natural beauty of your smile using conservative, state-of-the-art procedures, and best materials available. Our dentists have been serving San Antonio for over 30 years! Dr. Jolly, Drs. Stan and Yuliya Zebrowski have been ranked among the best dentists in Texas.